and fabulous fashion by Dior, all of which is an expression of the era. Another stylish holiday favorite is Bell, Book and Candle. With fantastic cinematography by legendary James Wong Howe, wonderful Oscar nominated art direction and a star studded cast, it is a fun and visually rich romp through Greenwich Village in the late 1950’s. 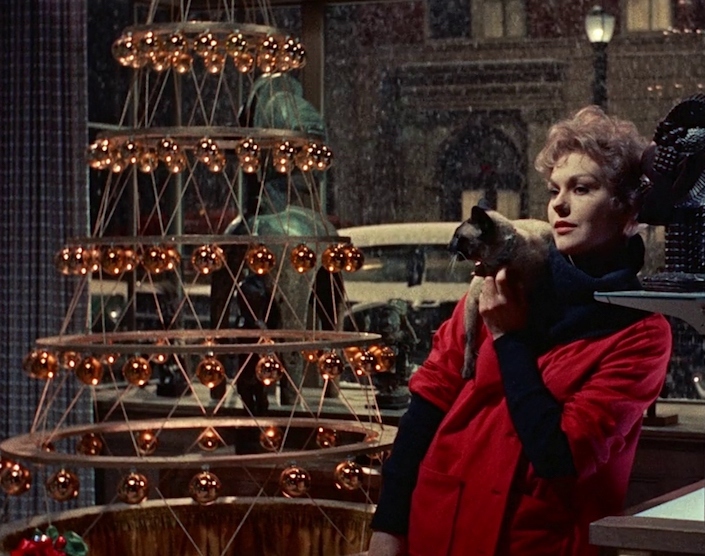 Kim Novak stars as a bewitching art dealer with out of this world powers, Jack Lemmon as her brother Nicky, Jimmy Stewart (in his final role as a romantic leading man at 50!) as the love interest with Hermione Gingold, Elsa Lanchester and Ernie Kovacs in the wings. As for stylish duos, it’s hard to beat Nick and Nora (and fesity terrier Asta of course). 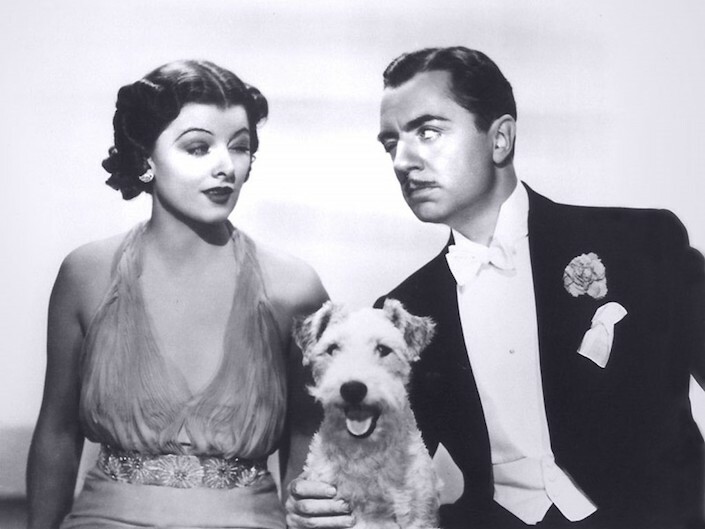 The original Thin Man, from 1934, set during the holidays, may seem a bit dated for some viewers, but Myrna Loy’s and William Powell’s droll banter and sophisticated glamour set the tone for decades to come. 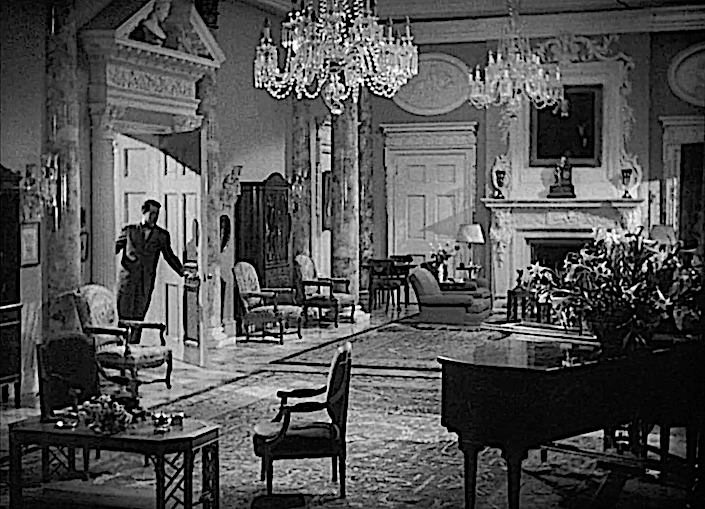 It’s a mystery how the husband and wife detective duo ever got anything accomplished as they are constantly with drink in hand, but I suppose the same could be said for Winston Churchill (if you haven’t seen The Darkest Hour, put it on your must see list). 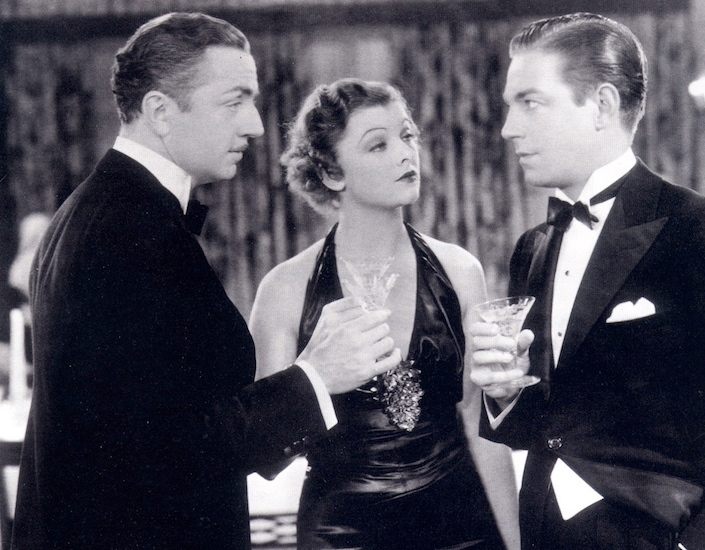 For those staying in on New Year’s Eve and reading in time, TCM is running a Thin Man Marathon of all six movies in chronological order starting at 8:00 pm EST. While not a traditional New Year’s movie, Three Days of the Condor, Sydney Pollack’s 1975 political thriller, takes place during the holidays. 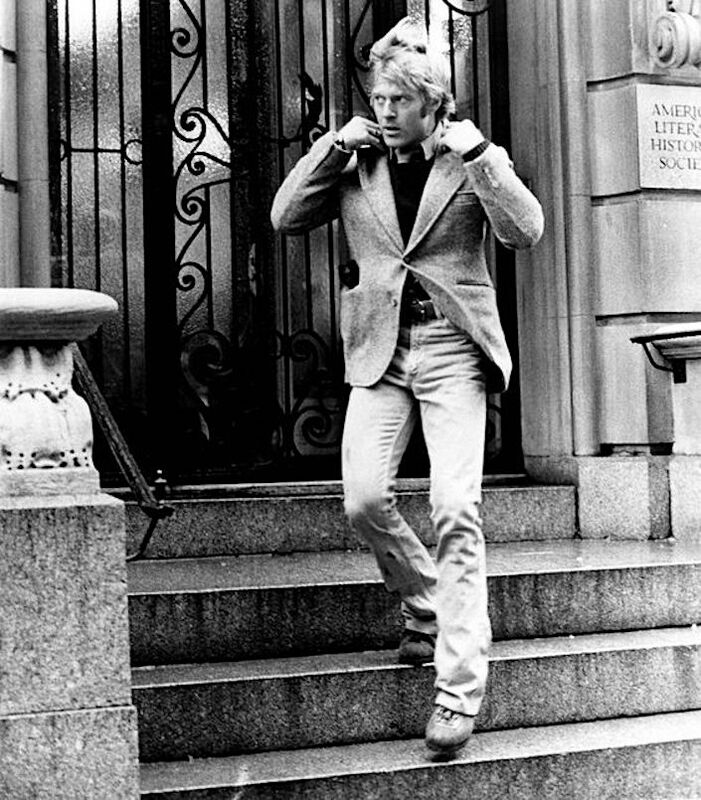 Robert Redford plays CIA analyst Joe Turner whose entire office is murdered at the outset of the film. Isolated, without any help or backup, he spends the entire movie figuring out who he can trust in the midst of a government conspiracy. With Christmas tunes in the background, the tense contrast of isolation is palpable. Faye Dunaway is his hostage/love interest with Cliff Robertson and Max von Sydow. Aside from the nail biting plot and existential undertones, GQ named it one of the 25 most stylish films of all time. I am taking some liberties with this second Robert Redford film. Downhill Racer is not actually a New Year’s movie at all but with its snowy alpine scenes, seems somehow appropriate for this weekend. Even if you’re not a skiier, this contemplative cult classic from 1969 is long on style and substance. 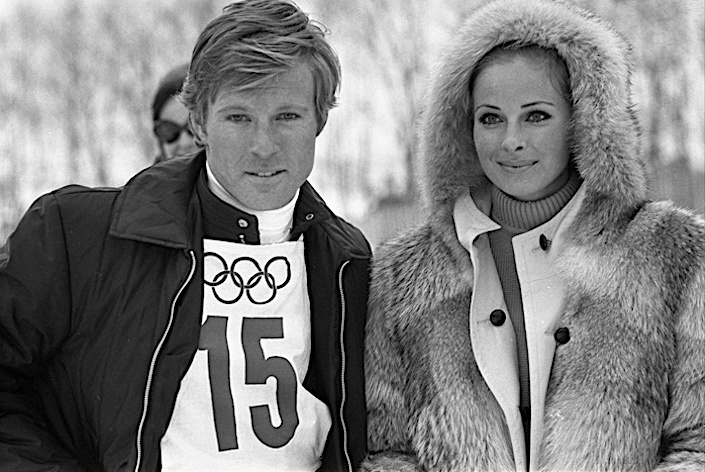 Like contemporary French New Wave films, it has more journalistic style hand-held camera work to accompany what was to be Redford’s first in a series of films about the price of success in America. 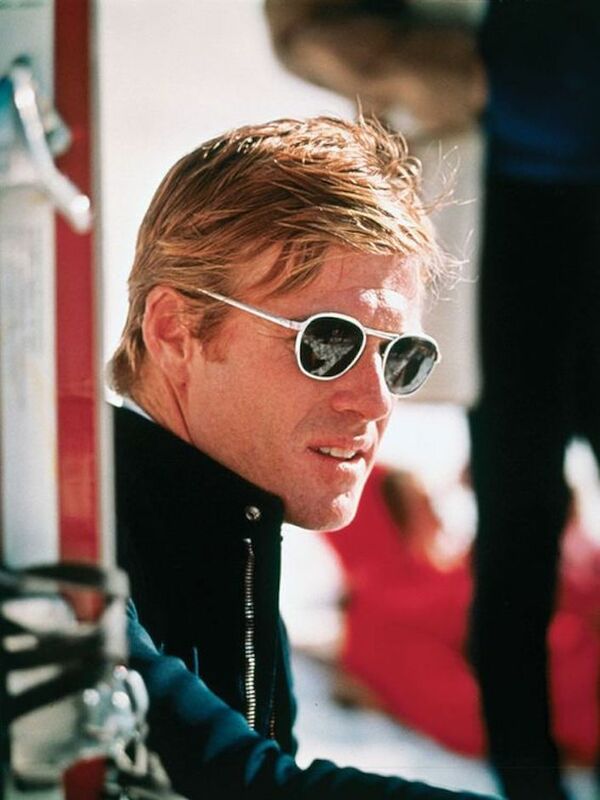 But Redford’s negative big studio experience with the film is what inspired him to start Sundance. Beautiful photography, spare understated performances and a timeless message all make this a film worth watching. Go here to read my full review. 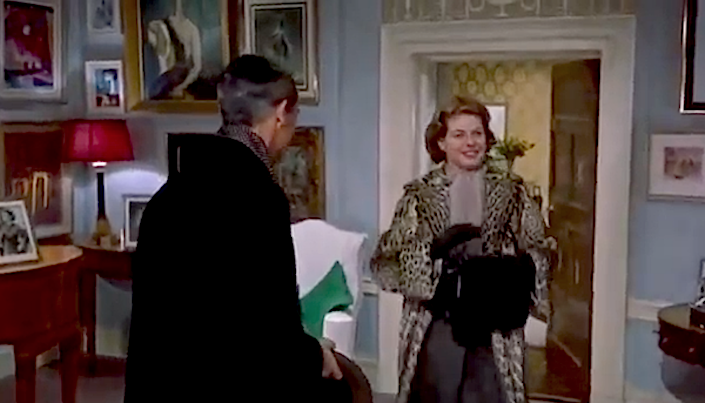 One of my very favorite classics for New Year’s viewing is George Cukor’s Holiday. 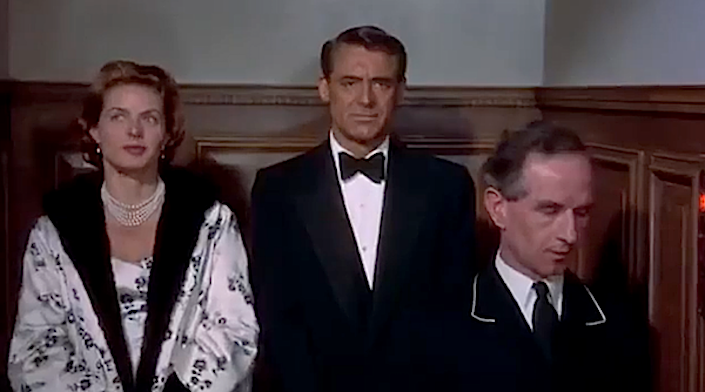 Based on the play by Phillip Barry, of Peter Pan fame, (and some say based on socialite Gertrude Sanford Legendre and her family), Cary Grant plays Johnny Case, a young self-made man on the rise, who falls in love with and proposes to the beautiful Julia Seton (Doris Nolan, below) who he later discovers is a member of an illustrious banking family (Fifth Avenue residence above and below). 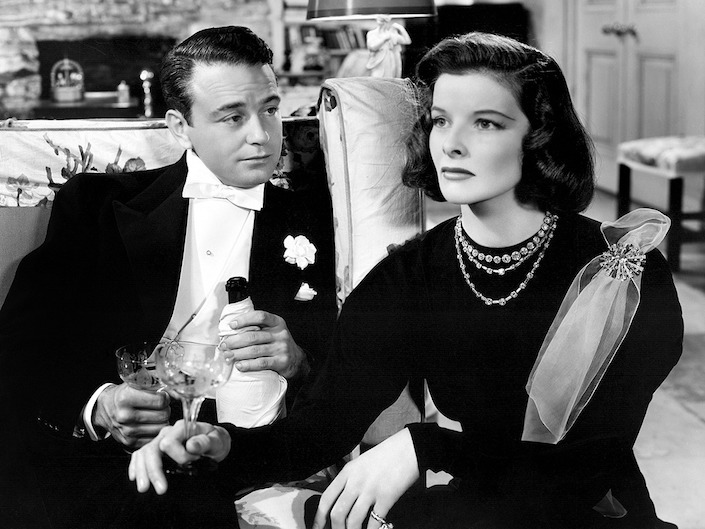 Despite his nonconformist attitudes, he wins over her family, including her father (Henry Kolker) who anticipates his joining his firm and free-spirited sister Linda (Katharine Hepburn) who relates to his refreshing ideals. A fantastic supporting cast includes Lew Ayres, below, as the disillusioned yet wise alcoholic brother, who has some of the best one-liners in the film, and Jean Dixon and Edward Everett Horton (always a fave) as the witty and fun professor and wife who are Johnny’s best friends. 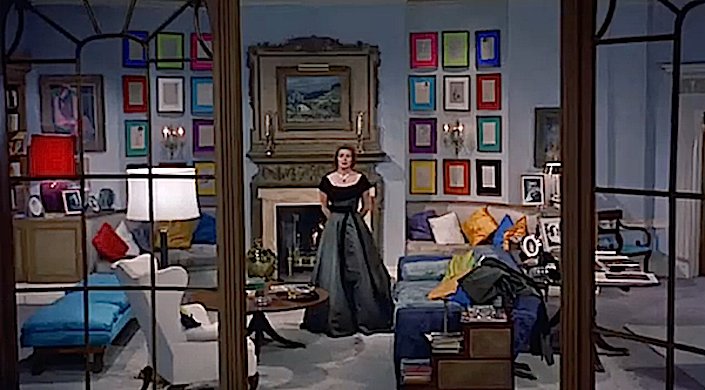 Again, great interiors and fashion add to the mix. And if you are a new reader, you can check out last year’s listing which includes some of the above and more! As always, a big thank you to all who stop by! I appreciate the time you take out of your day to check out my quintessential musings. Wishing you a Happy New Year and look forward to seeing you in 2018! This entry posted in At the Movies, entertainment, film, holiday. 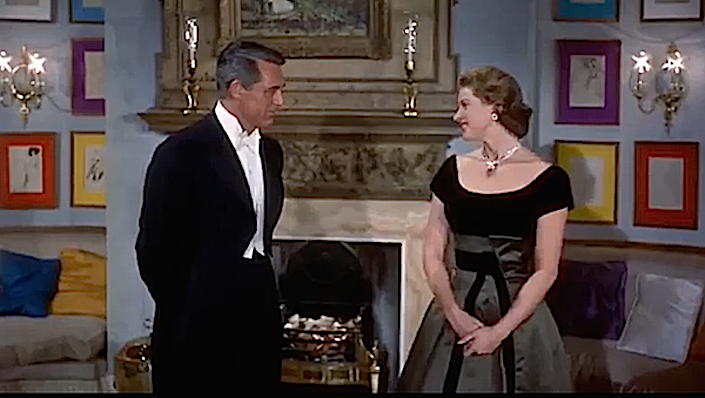 Entry Tags: Bell Book and Candle, Classic Films, Downhill Racer, holiday, Indiscreet, Movies, New Year's Eve, new year's eve movies, The Thin Man, Three Days of the Condor Bookmark the permalink. Love your movie roundups! Just revisited Holiday last week and it did not disappoint. Happy New Year! Yep, I could enjoy every one of these after many previous viewings. What a gift! Thank you so much!!! Thank you. I had forgotten about Three Days of The Condor–that’s what I’ll watch today!! Wishing you a wonderfully adventurous 2018–thank you for all of your posts of 2017–blessings. I appreciate that you share the back story and context of the films you recommend. So refreshing from just posting pictures and quotes. Thank you for always taking the time to do excellent research and being the uncommon blog. Wishing you a splendid 2018.